2019) - On November 14, 2009, Dr. Emmet C. (Tom) Thompson II kicked his way into the record books. At 61, an age when many people are looking for the rocking chair, Thompson became the oldest football player in NCAA history and the oldest NCAA football player to score a point when he kicked the PAT (Point After Touchdown) in the second quarter of the game between Austin College and Trinity University. Thompson's hometown of Coppell, Texas, will honor that record-breaking feat tomorrow during its annual Tom Thompson Appreciation Day on Saturday, January 12, 2019. On the sidelines watching Thompson's celebrated kick in 2009 was Thompson's young son, Jon Rawles. The now-seventh grader began his own football career this past fall, and his proud father is excited about "passing the torch" to the next generation of Thompsons. "I was never one to push Jon Rawles into the game of football, but he has a childlike joy in playing sports and I want him to enjoy his life," says Thompson. "I love to watch him play! He is a special blessing in my life and I am privileged to be his dad. He is carrying the Thompson torch of wanting to make whatever he's part of better." Jon Rawles will help celebrate Tom Thompson Appreciation Day this year, and he recently joined his father to meet with Coppell, Texas, Mayor Karen Hunt to prepare for the celebration. "I am very proud of what my Dad has accomplished, and I look forward to celebrating Tom Thompson Appreciation Day on January 12th in Coppell," says Jon Rawles. "I enjoy being part of his legacy. What a great example God has given me in my Dad!" "I am so blessed to live here in Coppell, Texas," says Thompson. "It's a great place to raise a family. And what a privilege to share Tom Thompson Appreciation Day with my son Jon Rawles by my side!" To learn more about Thompson and his latest book,Get a Kick Out of Life: Expect the Best of Your Body, Mind, and Soul at Any Age, visit 91kick.com. Thompson's new book, Get a Kick Out of Life, which he co-wrote with Christopher P. Neck, Ph.D., a pioneer in the field of self leadership (Mastering Self Leadership: Empowering Yourself for Personal Excellence) and Alice Sullivan (co-author of Thompson's autobiography, Kick Start), builds on his background and reputation as an NCAA football record holder, physical fitness expert and academic researcher in the fields of motivation and change. Thompson, who says his purpose in life is to encourage people of all ages to live healthy and fulfilled lives, to discover and reach their full potential, and to develop a deeper faith in the process, has expanded on his research to deliver Get a Kick Out of Life. 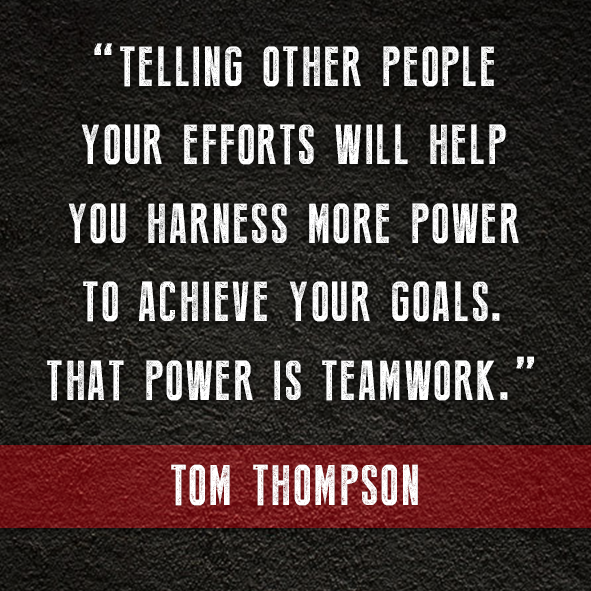 "We all set goals for ourselves every day," Thompson muses. "Wake up by 5:30. Respond to all emails in my inbox. Get the kids dressed in under 20 minutes. You might think of these as insignificant goals, but it isn't the size of the goal that matters. It's whether you consistently set achievable goals and reach them. In truth, these smaller goals can create great momentum for those larger goals on your list." Thompson holds several advanced degrees, including his doctorate and two master's degrees, in Kinesiology, Organizational Leadership, Strategic Leadership, and Teaching. He lectures to both lay and academic groups and is the author of several books and numerous co-authored articles in peer reviewed academic journals. With his impressive academic credentials, readers may be surprised to learn that as a young man, Thompson was a poor student and dropped out of college. A hard worker, however, he went on to two successful careers, in real estate and physical fitness. Then, at age 45, he found himself ready for a change. Upon the advice of some wise mentors, he decided to go back to school and finish his undergraduate degree in business management. To his surprise, he found that when he applied himself with a determined attitude, he became a successful student. He ended up going to school for eight straight years while earning his advanced degrees. After falling in love with academic research, he began his new career while completing his graduate studies. Thompson first came to national attention in 2009, when, at age 61, he kicked his way into the record books, becoming the oldest football player in NCAA history and the oldest NCAA football player to score a point when he kicked the PAT (Point After Touchdown) in the second quarter of the game between Austin College and Trinity University. 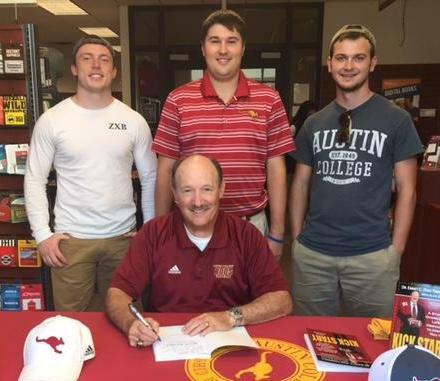 Thompson had originally decided to return to Austin College as a sexagenarian to complete another year of undergraduate work so that he would be eligible to play football. It was during this time of setting goals in each major area of his life while he was practicing with the Austin College football team, going to school, and still being involved at home as a husband and father, that Thompson had an epiphany. He realized he could not succeed in all of these areas without goals and a vision of where he wanted to go, what he wanted to achieve, and a timeline for when he would reach the mark. Thompson realized that goal setting was the key for ordinary individuals, regardless of age, circumstances, or current level of ability, to achieve greatness in all areas of life. Divided into three sections--Body, Mind, and Soul--Get a Kick Out of Life serves as a roadmap for living intentionally, setting attainable goals, keeping your body healthy through appropriate exercise and proper diet, pursuing your purpose in life and delving deeper into relationships with your friends and family. To learn more about Thompson and Get a Kick out of Life, visit 91kick.com or like him on Facebook at facebook.com/91kick. Dr. Emmet C. (Tom) Thompson II, D.S.L., M.S., M.A., entered the health and fitness industry after a 20-year career in commercial real estate. He holds a Bachelor of Science Degree in Business Management from LeTourneau University, a Master of Science Degree in Kinesiology from the University of North Texas, a Certificate of Advanced Studies in Organizational Leadership from Regent University, and a Doctor of Strategic Leadership Degree from Regent University, and a Master of Arts Degree in Teaching from Austin College. A former Board of Advisors member of the American Council on Martial Arts, Thompson is an American-born Tae Kwon Do grandmaster, holding the rank of 9th degree black belt. Thompson is also the Brand Ambassador for Evil Cowboy Hot Sauce, an heirloom Texas hot sauce company. On November 14, 2009, Dr. Emmet C. (Tom) Thompson II kicked his way into the record books. At age 61, he became the oldest football player in NCAA history and the oldest NCAA football player to score a point when he kicked the PAT (Point After Touchdown) in the second quarter of the game between Austin College and Trinity University. Thompson wrote his name in the record books, then went on to literally write the book on motivation for older adults who are approaching their golden years, as well as anyone seeking a career change, to seize their future with both hands. 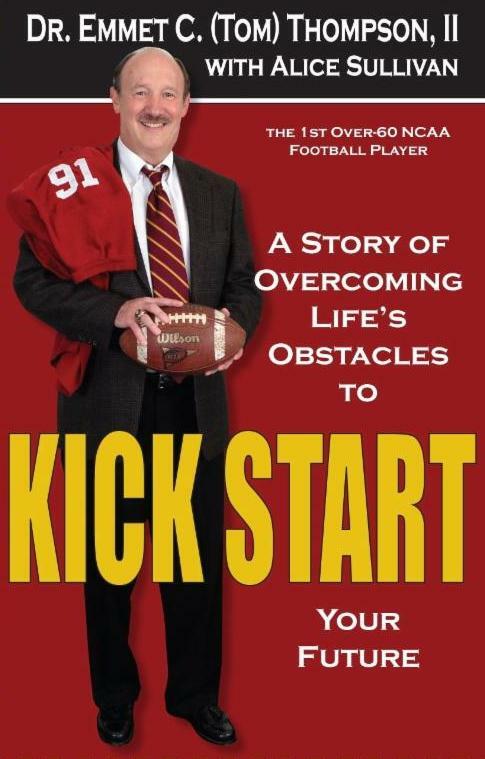 Thompson detailed his remarkable accomplishments in his motivational and autobiographical book, Kick Start: A Story of Overcoming Life's Obstacles to Inspire You to Kick Start Your Future, which he co-wrote with Alice Sullivan (Carpenter's Son Publishing). Thompson, who is an active researcher in the fields of motivation and change, has also co-authored numerous articles in peer reviewed academic journals, as well as the book Fit To Lead: The Proven 8-week Solution for Shaping Up Your Body, Your Mind, and Your Career (St. Martin's Press), which he co-authored with Christopher P. Neck and Charles C. Manz (respected pioneers in the field of self leadership, and co-authors of Mastering Self Leadership: Empowering Yourself for Personal Excellence) and Tedd L. Mitchell (Chancellor of the Texas Tech University System and President of the Texas Tech University Health Sciences Center, former CEO of the Cooper Clinic, and former health editor for USA Weekend). Thompson has now expanded on his research to deliver his upcoming book, Get a Kick Out of Life: Expect the Best of Your Body, Mind, and Soul at Any Age, co-written with Christopher P. Neck, (Mastering Self Leadership), along with Alice Sullivan (Kick Start). The new book released from Clovercroft Publishing on October 10, 2017 ($15.99) and is distributed to the trade by Ingram Content Group, the world's largest distributor of printed content. To learn more about Thompson and Get a Kick Out of Life, visit 91kick.com or like him on Facebook at facebook.com/91kick. To learn more about Thompson and Get a Kick Out of Life, visit 91kick.com. NASHVILLE, Tenn. (October 19, 2018) - Author, NCAA record breaker, and motivational speaker, Dr. Emmet C. (Tom) Thompson II, was recently interviewed about his latest inspirational book, Get a Kick Out of Life: Expect the Best of Your Body, Mind, and Soul at Any Age, by Chris Carpenter, Director of Internet Programming for the Christian Broadcasting Network (CBN). The interview is featured today on CBN.com. 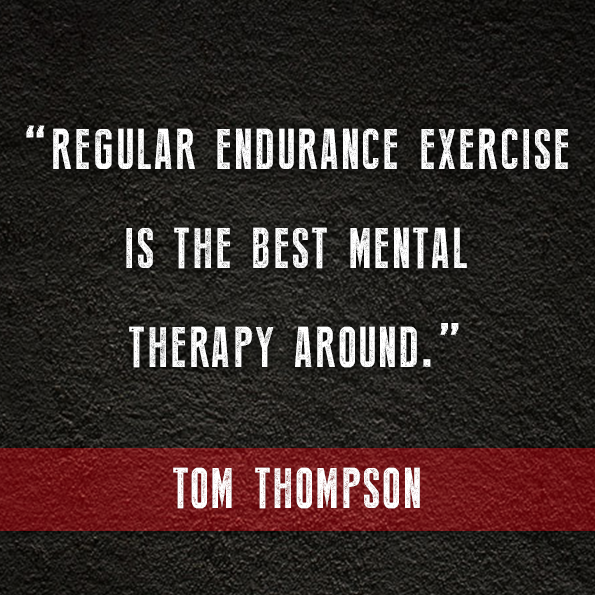 "What I love about Tom Thompson and Get a Kick Out of Life is that he practices what he preaches -- that you can go wherever you want in life regardless of age if you just devote yourself to finding purpose through faith, family, and a healthy lifestyle. It seems so simple ... but it's so true." "I had a great time being interviewed by CBN's Chris Carpenter," says Thompson. "Not only was it a joy to discuss my latest book, Get a Kick Out of Life, but it was also fun to talk about my time spent as a student and professor at Regent University." To read the article on CBN.com, visit 1.cbn.com/books/author-suggests-dropping-bucket-list-something-even-better. Get a Kick Out of Life is available from Clovercroft Publishing in both trade paperback and major ebook formats, and is distributed to the trade by Ingram Content Group, the world's largest distributor of printed content. For more information on Thompson and Get a Kick Out of Life, visit 91kick.com, or like him on Facebook (facebook.com/91kick), or on Twitter (@91kick). Author, professor, researcher, motivational speaker, coach and NCAA record breaker, Dr. Emmet C. (Tom) Thompson II, D.S.L., M.S., M.A., kicked his way into the record books at age 61, when he became the oldest football player in NCAA history and the oldest NCAA football player to score a point when he kicked the PAT (Point After Touchdown) in the second quarter of the game between Austin College and Trinity University on November 14, 2009. Thompson's late-in-life college football career was neither the beginning nor the end of his claim to fame. During his remarkable life, Thompson (a 9th degree black belt Tae Kwon Do grandmaster and a former Board of Advisors member of the American Council on Martial Arts) has worked out with Chuck Norris, partied with Elvis, borrowed money from the mob (and lived to tell about it), married a beauty queen and had a personal encounter with God. But while he has earned his share of success and accolades, Thompson is the first to admit that he's experienced more than his share of spectacular failures along the way -- professionally, financially, and personally. "Between my real estate ventures, my finances, my family, and my marriages, my life seemed to be a never-ending roller coaster of ups and downs," Thompson confesses. "I was beyond tired of the ride. I was completely broken. My faith was in tatters. At the age of forty-one, for the first time, rather than shrink back, I chose to become serious about my relationship with God. I made the decision to make Jesus the Lord of my life, in addition to being my Savior. I conceded that my way hadn't been working, and that I needed to allow Him to have control over my life, my heart, and my decisions. I was no longer in charge. This time, things were noticeably different." 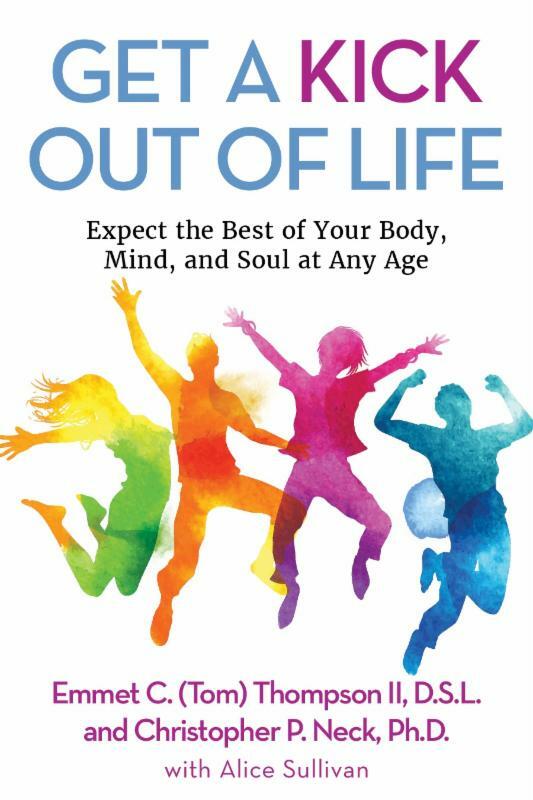 Get a Kick Out of Life: Expect the Best of Your Body, Mind, and Soul at Any Age, which he co-authored with Christopher P. Neck, Ph.D., a recognized authority on management and self leadership, and writer Alice Sullivan. Divided into three sections -- Body, Mind, and Soul -- Get a Kick Out of Life serves as a roadmap for living intentionally, exploring such topics as setting attainable goals, physical fitness and nutrition, finding your purpose, and developing deeper relationships with family and friends. Thompson believes the book will help empower readers to discover and reach their full potential. "If my story says anything, it is that it is never too late to re-imagine what you want your life to be." Get a Kick Out of Life continues to garner rave reviews. "On the road to greatness, there are always hurdles and roadblocks," says Superbowl XLVI champion and former New York Giants wide receiver Isaiah Stanback. "Champions stay the course while others turn around. Get a Kick Out of Life teaches you how to create and live up to your greatest potential. Decide to be great or decide to be average -- the choice is yours." 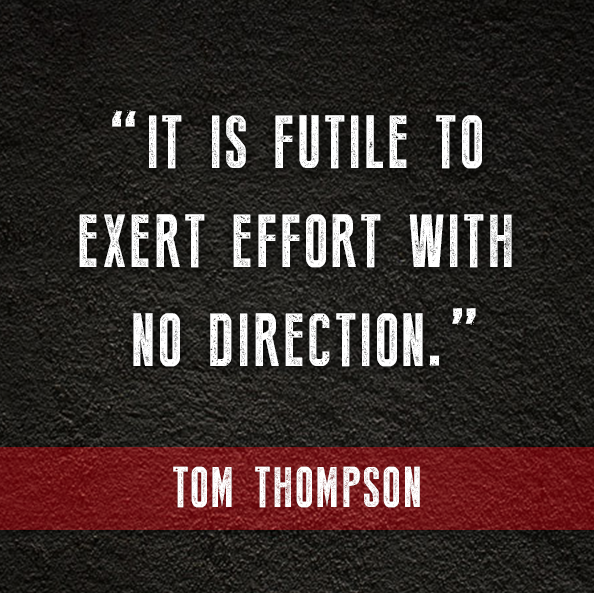 "I've known Tom Thompson for almost five decades and his life story is an inspirational one that reveals his pursuit of and drive for excellence," says Keith D. Yates, founder and president of the American Karate and Tae Kwon Do Organization, and a retired adjunct professor of Media Arts and Communications at Dallas Theological Seminary. "This book is a roadmap to developing that same kind of passion in your own life. It will help you balance mind, body, and soul in your own journey." "Really excited about this book ... it's jam-packed with wisdom and actionable content," says On Faith's Edge host Joe Taylor. In addition to interviews, book signings and speaking engagements, Thompson serves as Brand Ambassador for Evil Cowboy Hot Sauce, an heirloom Texas hot sauce company. Get a Kick Out of Life is published by Clovercroft Publishing and distributed to the trade by Ingram Content Group, the world's largest distributor of printed content. Thompson and his wife, Teresa, reside in Coppell, Texas, and have three children -- Eric, Rachel and Jon Rawles. For more information on Thompson and Get a Kick Out of Life, visit 91kick.com, or like him on Facebook (facebook.com/91kick), or on Twitter (@91kick). CBN is a multifaceted nonprofit organization that provides programming by cable, broadcast and satellite to approximately 200 countries, with a 24-hour telephone prayer line. Chief among CBN's broadcasting components is The 700 Club, a daily television program featuring Pat Robertson, Terry Meeuswen, Gordon Robertson, Wendy Griffith, and news anchor John Jessup. On the air continuously since 1966, The 700 Club is one of the longest-running programs in broadcast history. Seen in 97 percent of the television markets across the United States, the show's news/magazine format presents a lively mix of information, interviews, and inspiration. For more information about CBN, visit 1cbn.com. NASHVILLE, Tenn. (July 20, 2018) - Author, NCAA record breaker, and motivational speaker, Dr. Emmet C. (Tom) Thompson II was in Nashville in July for the CBA UNITE 2018 International Christian Retail Show. The annual trade show, which was held this year at the Gaylord Opryland Hotel & Convention Center in Nashville, Tennessee, ran from Sunday through Wednesday, July 8-11, 2018. During the event, Thompson and co-writer Alice Sullivan interviewed and met with representatives from a wide range of media, including radio, television, film, print, publishing and new media organizations, including Devon O'Day from Opry Radio, Craig Von Buseck from Inspiration.org (ISPN), Chris Carpenter from CBN.com, Rebecca Blacksmith and Alan Rasmussen from Control Track TV, Bob Crittenden from The Meeting House/Faith Radio, Paul Ladd from World Broadcasters, Joe Taylor of On Faith's Edge, Jayme Hull of Face to Face Mentoring podcast, Sharon Wilharm from Faith Flix, and Donna Feyen of More Than a Review and Rocket2Success, among others. He also did exclusive Facebook Live events with Opry Radio, CBN.com, On Faith's Edge, and More Than a Review. Thompson also spent time on the floor of the Exhibit Hall, signing copies of his latest book, Get a Kick Out of Life. "Attending the CBA UNITE 2018 International Christian Retail Show was a great blessing," says Thompson. 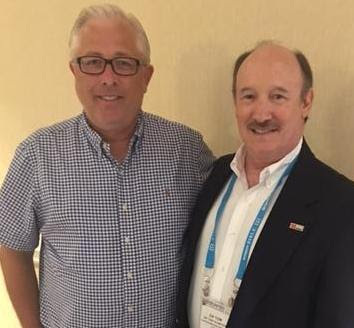 "It was a wonderful time of catching up with old friends and making new ones, and to realize what a vibrant, diverse industry we are privileged to be a part of." Get a Kick out of Life is available in trade paperback and all major ebook formats wherever fine books are sold. It is published by Clovercroft Publishing, and is distributed to the trade by Ingram Content Group, the world's largest distributor of printed content. For more information on Thompson and Get a Kick Out of Life, visit 91kick.com, like on Twitter (@91kick), or like on Facebook (facebook.com/91kick). Thompson's late-in-life college football career was neither the beginning nor the end of his claim to fame. During his remarkable life, Thompson (a 9th degree black belt Tae Kwon Do grandmaster and a former Board of Advisors member of the American Council on Martial Arts) has worked out with Chuck Norris, partied with Elvis, borrowed money from the mob (and lived to tell about it), married a beauty queen and had a personal encounter with God. But while he has earned his share of success and accolades, Thompson is the first to admit that he's experienced more than his share of spectacular failures along the way; professionally, financially and personally. "Between my real estate ventures, my finances, my family, and my marriages, my life seemed to be a never-ending roller coaster of ups and downs," Thompson confesses. "I was beyond tired of the ride. I was completely broken. My faith was in tatters. At the age of forty-one, for the first time, rather than shrink back, I chose to become serious about my relationship with God. I made the decision to make Jesus Lord of my life, in addition to being my Savior. I conceded that my way hadn't been working and that I needed to allow Him to have control over my life, my heart, and my decisions. I was no longer in charge. This time, things were noticeably different." Now Thompson, a respectedresearcher in the fields of motivation and change, offers readers sound advice for reaching their full potential, regardless of their age, in his latest motivational book, Get a Kick Out of Life: Expect the Best of Your Body, Mind, and Soul at Any Age, which he co-authored with Christopher P. Neck, Ph.D., a recognized authority on management and self leadership, and writer Alice Sullivan. Divided into three sections--Body, Mind, and Soul--Get a Kick Out of Life serves as a roadmap for living intentionally, exploring such topics as setting attainable goals, physical fitness and nutrition, finding your purpose, and developing deeper relationships with family and friends. "On the road to greatness, there are always hurdles and roadblocks," says Superbowl XLVI champion and former New York Giants wide receiver Isaiah Stanback. "Champions stay the course while others turn around," Stanback continues. "Get a Kick Out of Life teaches you how to create and live up to your greatest potential. Decide to be great or decide to be average--the choice is yours." "I've known Tom Thompson for almost five decades and his life story is an inspirational one that reveals his pursuit of and drive for excellence," says Keith D. Yates, president of the American Karate and Tae Kwon Do Organization, and adjunct professor of Arts and Communications at Dallas Theological Seminary. "This book is a roadmap to developing that same kind of passion in your own life. It will help you balance mind, body, and soul in your own journey." "Really excited about this book...It's jam-packed with wisdom and actionable content," says On Faith's Edge host Joe Taylor. Get a Kick Out of Life is published by Clovercroft Publishing and distributed to the trade by Ingram Content Group, the world's largest distributor of printed content. Thompson and his wife, Teresa, reside in Coppell, Texas, and have three children--Eric, Rachel and Jon Rawles. To learn more about Thompson and Get a Kick Out of Life, visit 91kick.com or like him on Facebook at facebook.com/91kick or on Twitter (@91kick). CBA is a long-standing international trade association which believes unity is imperative for Christian businesses--because it is a biblical mandate and because we are all more successful when we work together. Its mission is to supply vital connections, information, education, and encouragement to enable Christian product providers to reach all people. CBA supports and connects the entire global Christian products industry, which includes retailers, suppliers, publishers, distributors, authors, artists, filmmakers and others. We value and support the widespread distribution of Bibles, Christian books, curriculum, apparel, music, videos, gifts, greeting cards, children's resources, and other materials to communities worldwide. The annual CBA UNITE International Christian Retail Show brings representatives from more than 50 countries for idea sharing, training, leadership development, and launching new products and resources. Products include Bibles, books, church curriculum and supplies, gifts, lifestyle products, and family entertainment such as music, films, and other media. The event also attracts national pastoral leaders, authors, artists, musicians, filmmakers, journalists, and others involved in Christian media. Key product and film launches that affect the Christian retail industry often take place at the event. For more information about the CBA UNITE 2018 International Christian Retail Show, visit cbaunite.com. NASHVILLE, Tenn. (June 15, 2018) - Author, motivational speaker and physical fitness expert, Dr. Emmet C. (Tom) Thompson II will be in Nashville in July for CBA's UNITE 2018 International Christian Retail Show, which will be held at the Gaylord Opryland Hotel & Convention Center in Nashville, Tennessee, Sunday through Wednesday, July 8-11. Thompson will be signing copies of his latest book, Get a Kick Out of Life, at a book signing event on Wednesday, July 11, 2018, at 9 a.m. at the Clovercroft Publishing booth. While at UNITE 2018, the author is slated to meet with members of the media and other industry leaders to discuss Get a Kick Out of Life. In addition to the paperback version of the book, Clovercroft Publishing has recently released the digital version of Get a Kick Out of Life, which is now available in all major eBook formats from major online retailers including Amazon.com, iTunes, Kobo.com and BN.com, for such platforms as the Apple iPad, Amazon Kindle, Kobo Aura, and Nook eReader. "When Amazon pioneered the Kindle e-book reader 10 years ago, I don't think anyone realized how that device would change the literary landscape," says Thompson. "E-books now account for around 25 percent of all book sales. We wanted to make sure folks who prefer to read books digitally have access to the great information contained in Get a Kick Out of Life." While at the conference, Thompson will also be meeting with industry insiders regarding an exciting new announcement that is in the works. Details are forthcoming, but Thompson says it will be a game changer for fans of his books. On November 14, 2009, Thompson kicked his way into the record books. At 61, an age when many people are looking for the rocking chair, Thompson became the oldest football player in NCAA history and the oldest NCAA football player to score a point when he kicked the PAT (Point After Touchdown) in the second quarter of the game between Austin College and Trinity University. Thompson's background and reputation as an NCAA record breaker, physical fitness expert and academic researcher in the field of motivation and change have opened the door for him to literally write the book on motivation for older adults who are approaching their golden years, young people seeking to find their first job, and anyone at any age who wants to take charge of their own destiny. "It's never too late to live your best life," Thompson declares in Get a Kick Out of Life. "You can harness the power of the body, mind, and soul to live your most fulfilling life yet!" The book has garnered rave reviews. "On the road to greatness, there are always hurdles and roadblocks," says Superbowl XLVI champion, former New York Giants wide receiver Isaiah Stanback. "Champions stay the course while others turn around. Get a Kick Out of Life teaches you how to create and live up to your greatest potential. Decide to be great or decide to be average--the choice is yours." The Kindle version of Get a Kick Out of Life is available from Amazon.com. The paperback version of Get a Kick Out of Life is available from Clovercroft Publishing, and is distributed to the trade by Ingram Content Group, the world's largest distributor of printed content. For more information on Thompson and Get a Kick Out of Life, visit 91kick.com or like him on Facebook atfacebook.com/91kick or on Twitter (@91kick). Now Thompson, a respected researcher in the fields of motivation and change, offers readers sound advice for reaching their full potential, regardless of their age, in his latest motivational book,Get a Kick Out of Life: Expect the Best of Your Body, Mind, and Soul at Any Age, which he co-authored with Christopher P. Neck, Ph.D., a recognized authority on management and self leadership, and writer Alice Sullivan. Get a Kick Out of Life is published by Clovercroft Publishing and distributed to the trade by Ingram Content Group, the world's largest distributor of printed content. Thompson and his wife, Teresa, reside in Coppell, Texas, and have three children--Eric, Rachel and Jon Rawles. To learn more about Thompson and Get a Kick Out of Life, visit 91kick.com or like him on Facebook atfacebook.com/91kick or on Twitter (@91kick). The CBA's annual UNITE International Christian Retail Show brings representatives from more than 50 countries for idea sharing, training, leadership development, and launching new products and resources. Products include Bibles, books, church curriculum and supplies, gifts, lifestyle products, and family entertainment such as music, films, and other media. The event also attracts national pastoral leaders, authors, artists, musicians, filmmakers, journalists, and others involved in Christian media. Key product and film launches that affect the Christian retail industry often take place at the event. For more information about CBA and the UNITE 2018 International Christian Retail Show, visit cbaunite.com or cbaonline.org. Author, motivational speaker and physical fitness expert, Dr. Emmet C. (Tom) Thompson II is celebrating the digital release of his latest book, Get a Kick Out of Life. The Kindle version of Thompson's popular book recently released from Clovercroft Publishing, and is available now on Amazon.com at a suggested retail price of $7.99. The title will roll out to other online ebook retailers, including iTunes, Kobo.com and BN.com, for such platforms as the iPad, Kobo Aura, and Nook eReader in the coming days. NASHVILLE, Tenn. (February 16, 2018) - Folks who appreciate the spicy side of life were thrilled with the fiery food experience offered by the 2018 edition of ZestFest, which was recently held in Irving, Texas. The annual event brings together the spiciest exhibitors and products from around the country for one sizzling weekend. It's the ultimate party for bold and flavorful food enthusiasts, showcasing the zestiest food products on the market. Author, professor, researcher, motivational speaker, coach and NCAA record breaker, Dr. Emmet C. (Tom) Thompson II, Brand Ambassador for Evil Cowboy Hot Sauce, was on hand at the event, along with company founders Kurt Riddlesperger and family, to greet attendees and to extol the value of making healthy lifestyle choices. "Tom's experience with nutrition, and his focus on taking care of your body, makes him a great fit for promoting Evil Cowboy Hot Sauce, and our other healthy and spicy food products," says Riddlesperger. "Just because something is good for you, doesn't mean it has to taste bland," declares Thompson. "I am thrilled to serve as brand ambassador for Evil Cowboy Hot Sauce. It's delicious and it is healthy to boot." Thompson points to the Riddlesperger family's faith as a key element in his decision to lend his support to the smoky flavored hot sauce. "The family is very clear about their faith, putting it right on the label of their Evil Cowboy Smokin' Ghost Sauce. To paraphrase Romans 3:23, 'All cowboys have evil in them,' which is the first step walking down the Roman road to salvation," explains Thompson. "With a name and logo like 'Evil Cowboy,' it definitely opens doors to conversations about God." 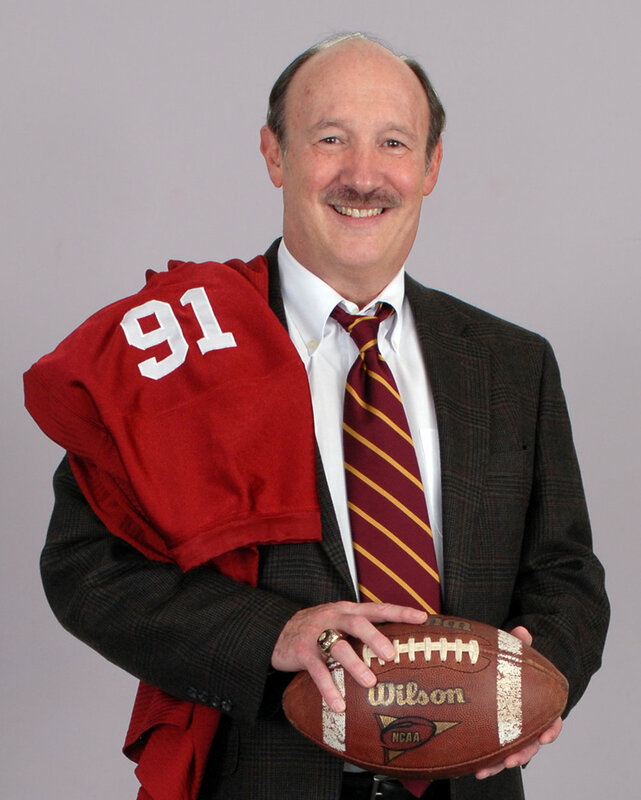 The partnership capitalizes on Thompson's background and reputation as an NCAA football record breaker, physical fitness expert and academic researcher in the field of motivation and change. Thompson literally wrote the book on motivation for older adults who are approaching their golden years, young people seeking to find their first job, and anyone at any age who wants to take charge of their own destiny. "It's never too late to live your best life, "Thompson declares in his latest book, Get a Kick Out of Life. "You can harness the power of the body, mind, and soul to live your most fulfilling life yet!" The new book has garnered rave reviews. "I've known Tom Thompson for almost five decades and his life story is an inspirational one that reveals his pursuit of and drive for excellence," says Keith D. Yates, president of the American Karate and Tae Kwon Do Organization, and adjunct professor of Arts and Communications at Dallas Theological Seminary. "This book is a roadmap to developing that same kind of passion in your own life. It will help you balance mind, body, and soul in your own journey." Get a Kick Out of Life is available from Clovercroft Publishing, and is distributed to the trade by Ingram Content Group, the world's largest distributor of printed content. For more information on Thompson and Get a Kick Out of Life, visit 91kick.comor like him on Facebook at facebook.com/91kick or on Twitter (@91kick). For more information about Evil Cowboy Hot Sauce, visit evilcowboy.com. Now Thompson, a respected researcher in the fields of motivation and change, offers readers sound advice for reaching their full potential, regardless of their age, in his latest motivational book, Get a Kick Out of Life: Expect the Best of Your Body, Mind, and Soul at Any Age, which he co-authored with Christopher P. Neck, Ph.D., a recognized authority on management and self leadership, and writer Alice Sullivan. As a local grocer and butcher, Kurt and Kyle Riddlesperger's grandfather was proud to offer a variety of products at his store, Triangle Grocery & Market in Honey Grove, Texas. His cooking sauce was especially well known. Its aroma permeated the store, as well as football and rodeo stands, from the hot dogs and brisket slow cooked in the sauce every night. In honor of him, his grandsons named their company Texas Triangle Grove. They are continuing his legacy with quality Texas-made products and sharing his sauce with you as Evil Cowboy Smokin Ghost Hot Sauce. For more information, visit evilcowboy.com. NASHVILLE, Tenn. (January 12, 2018) - On November 14, 2009, Dr. Emmet C. (Tom) Thompson II kicked his way into the record books. At 61, an age when many people are looking for the rocking chair, Thompson became the oldest football player in NCAA history and the oldest NCAA football player to score a point when he kicked the PAT (Point After Touchdown) in the second quarter of the game between Austin College and Trinity University. Thompson's hometown of Coppell, Texas is honoring that record-breaking feat today during its annual Tom Thompson Appreciation Day. "Coppell, Texas might be the perfect place to live, work and raise a family," says Thompson. "I am so blessed to live here, and I am honored to celebrate Tom Thompson Appreciation Day with Mayor Hunt!" To commemorate today's event, Thompson made a personal appearance in town, meeting with Mayor Karen Hunt, and discussing his latest book, Get a Kick Out of Life: Expect the Best of Your Body, Mind, and Soul at Any Age, which released October 10, 2017 from Clovercroft Publishing. The book serves as a roadmap for living intentionally, setting attainable goals, keeping your body healthy through appropriate exercise and proper diet, pursuing your purpose in life and delving deeper into relationships with friends and family. This past year has been a busy one for Thompson, who started last year by releasing his updated and expanded edition of inspiring autobiography, Kick Start, which hit retail shelves on January 31, 2017. In addition to interviews, book signings and speaking engagements, Thompson was named Brand Ambassador for Evil Cowboy Hot Sauce, an heirloom Texas hot sauce company. "It's never too late to live your best life, "Thompson declares in Get a Kick Out of Life. "You can harness the power of the body, mind, and soul to live your most fulfilling life yet!" To learn more about Thompson andGet a Kick Out of Life, visit 91kick.com. With his impressive academic credentials, readers may be surprised to learn that as a young man, Thompson was a poor student and dropped out of college. A hard worker, however, he went on to two successful careers, in real estate and physical fitness. Then, at age 45, he found himself ready for a change. Upon the advice of some wise mentors, he decided to go back to school and finish his undergraduate degree in business management. To his surprise, he found that when he applied himself with a determined attitude, he became a successful student. He ended up going to school for eight straight years while earning his advanced degrees. After falling in love with academic research, he began his new career while completing his graduate studies. Thompson, who is an active researcher in the fields of motivation and change, has also co-authored numerous articles in peer reviewed academic journals, as well as the book Fit To Lead: The Proven 8-week Solution for Shaping Up Your Body, Your Mind, and Your Career (St. Martin's Press), which he co-authored with Christopher P. Neck and Charles C. Manz (respected pioneers in the field of self leadership, and co-authors of Mastering Self Leadership: Empowering Yourself for Personal Excellence) and Tedd L. Mitchell (president of the Texas Tech University Health Sciences Center, former CEO of the Cooper Clinic, and former health editor for USA Weekend). NASHVILLE, Tenn. (November 14, 2017) - On November 14, 2009, Dr. Emmet C. (Tom) Thompson II kicked his way into the record books. At age 61, he set two new NCAA records when he became the oldest football player in NCAA history and the oldest NCAA football player to score a point when he kicked the PAT (Point After Touchdown) in the second quarter of the game between Austin College and Trinity University. His Austin College jersey, number 91, is on revolving display at the College Football Hall of Fame. Thompson recently celebrated that milestone at Austin College in Sherman, Texas, at the school's Homecoming weekend. In addition to his assistant coaching duties during the big game, Thompson signed copies of his latest inspirational and motivational book, Get a Kick Out of Life, at a special book signing event,shared stories with the school's alumni, and enjoyed some quality time with his family. "I always enjoy having the opportunity to spend time visiting with the Austin College alums, and this year's Homecoming was really special because of my family's involvement during the weekend's events," says Thompson. In addition to the book signing and his coaching duties, Thompson enjoyed the opportunity of hearing his wife, Teresa, singing the national anthem prior to the game; watching his daughter, Rachel, being honored as head cheerleader; and seeing his son, Jon Rawles, serving as the football team's ball boy during the Homecoming game. "It's never too late to live your best life," says Thompson, a respected researcher in the fields of motivation and change, in his new book Get a Kick Out of Life. "You can harness the power of the body, mind, and soul to live your most fulfilling life yet!" The book serves as a roadmap for living intentionally, setting attainable goals, keeping your body healthy through appropriate exercise and proper diet, pursuing your purpose in life and delving deeper into relationships with your friends and family. Get a Kick Out of Life released on Tuesday, October 10, 2017, from Clovercroft Publishing, and is being distributed to the trade by Ingram Content Group, the world's largest distributor of printed content. For more information on Thompson and Get a Kick Out of Life, visit 91kick.com or like him on Facebook at facebook.com/91kick. About Get a Kick Out of Life:Thompson's new book, which he co-wrote with Christopher P. Neck, Ph.D., a pioneer in the field of self leadership (Mastering Self Leadership: Empowering Yourself for Personal Excellence) and Alice Sullivan (co-author of Thompson's autobiography, Kick Start), builds on his background and reputation as an NCAA football record holder, physical fitness expert and academic researcher in the fields of motivation and change. Dr. Emmet C. (Tom) Thompson II, D.S.L., M.S., M.A., entered the health and fitness industry after a 20-year career in commercial real estate. He holds a Bachelor of Science degree in Business Management from LeTourneau University, a Master of Science degree in Kinesiology from the University of North Texas, a Certificate of Advanced Studies in Organizational Leadership from Regent University, a Doctor of Strategic Leadership degree from Regent University, and a Master of Arts degree in Teaching from Austin College. 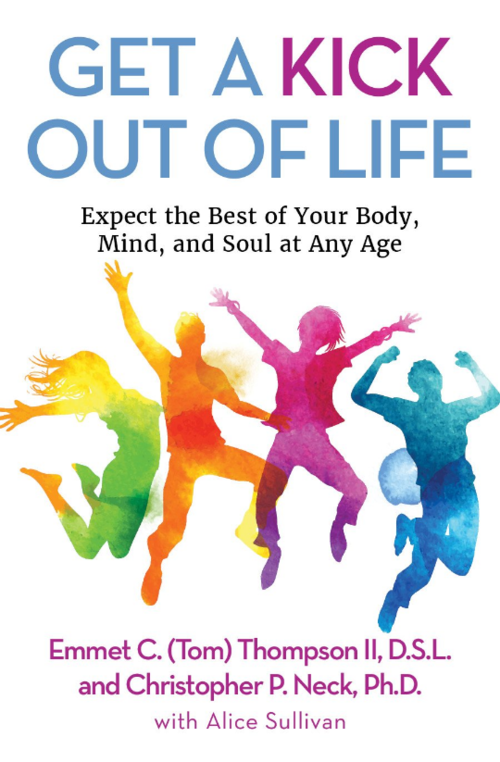 Thompson has now expanded on his research to deliver his upcoming book, Get a Kick Out of Life: Expect the Best of Your Body, Mind, and Soul at Any Age, co-written with Christopher P. Neck, (Mastering Self Leadership), along with Alice Sullivan (Kick Start). The new book releasedfrom Clovercroft Publishing on October 10, 2017 ($15.99) and is distributed to the trade by Ingram Content Group, the world's largest distributor of printed content. To learn more about Thompson and Get a Kick Out of Life, visit 91kick.com or like him on Facebook at facebook.com/91kick. Author, Motivational Speaker, Researcher and NCAA Record Breaker will Continue His Conversation from Last Month with Host Bill Martinez, in over 280 Markets Across the U.S.
NASHVILLE, Tenn. (October 26, 2017) - Author, professor, researcher, motivational speaker and NCAA record breaker, Dr. Emmet C. (Tom) Thompson II, will discuss his new motivational book, Get a Kick Out of Life: Expect the Best of Your Body, Mind, and Soul at Any Age, for the second time with host Bill Martinez on the popular radio program, Bill Martinez Live!, on Friday, October 27, 10:32 a.m. ET. Fans can listen live at billmartinezlive.com/listen-live. "I always enjoy catching up with Bill Martinez," says Thompson. "He seems to have great insight on the pulse of American life." Thompson, a respected researcher in the fields of motivation and change, will offer advice to listeners on reaching their full potential during the interview, which will air live in over 280 markets across the U.S.
Thompson's new book, which he co-wrote with Christopher P. Neck, Ph.D., a pioneer in the field of self leadership (Mastering Self Leadership: Empowering Yourself for Personal Excellence) and Alice Sullivan (co-author of Thompson's autobiography, Kick Start), builds on his background and reputation as an NCAA football record holder, physical fitness expert and academic researcher in the fields of motivation and change. 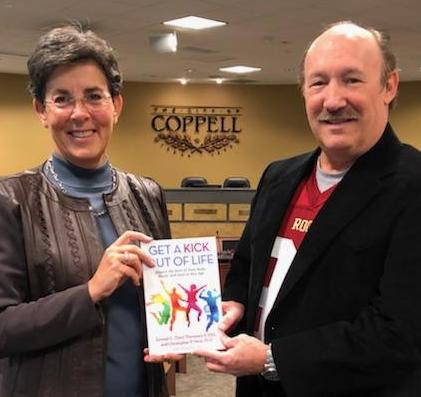 Thompson has now expanded on his research to deliver his upcoming book, Get a Kick Out of Life: Expect the Best of Your Body, Mind, and Soul at Any Age, co-written with Christopher P. Neck, (Mastering Self Leadership), along with Alice Sullivan (Kick Start). The new book is due from Clovercroft Publishing on October 10, 2017 ($15.99) and will be distributed to the trade by Ingram Content Group, the world's largest distributor of printed content. To learn more about Thompson and Get a Kick Out of Life, visit 91kick.com or like him on Facebook at facebook.com/91kick. The popular nationally syndicated talk radio show, Bill Martinez Live!, is aired daily in over 280 markets across the U.S. Hosted by Bill Martinez, the show is committed to solutions over partisanship...involvement over invalidation...The United States over party politics. Our mission is to keep you informed of what's happening in your world, while presenting a forum that explores ALL ASPECTS of current issues and events. Bill Martinez Live! is about YOU, THE LISTENER. We bring forth the facts and experts from all sides. It's not about Bill's opinion; it's all about YOUR CONCLUSION after you have all the facts. Bill says, "My job is to EDUCATE, not to provide an OPINION (there are far too many of those already!). Let the facts speak to you, and you draw your own conclusions from your own frame of reference." For more information, visit billmartinezlive.com. DR. EMMET C. (TOM) THOMPSON II ON BILL MARTINEZ LIVE! NASHVILLE, Tenn. (September 25, 2017) - Author, professor, researcher, motivational speaker and NCAA record breaker, Dr. Emmet C. (Tom) Thompson II, will discuss his eagerly awaited new motivational book, Get a Kick Out of Life: Expect the Best of Your Body, Mind and Soul at Any Age, on the popular radio program,Bill Martinez Live!, today at 11:32 a.m. ET. To listen live, visit billmartinezlive.com/listen-live. "It's never too late to live your best life," Thompson declares in Get a Kick Out of Life. "You can harness the power of the body, mind, and spirit to live your most fulfilling life yet!" Get a Kick Out of Life is slated to hit shelves on Tuesday, October 10, 2017, from Clovercroft Publishing, and is being distributed to the trade by Ingram Content Group, the world's largest distributor of printed content. For more information on Thompson and Get a Kick Out of Life, visit 91kick.comor like him on Facebook at facebook.com/91kick. It was during this time of setting goals in each major area of his life while he was practicing with the Austin College football team, going to school, and still being involved at home as a husband and father, that Thompson had an epiphany. He realized could not succeed in all of these areas without goals and a vision of where he wanted to go, what he wanted to achieve, and a timeline for when he would reach the mark. Thompson realized that goal setting was the key for ordinary individuals, regardless of age, circumstances, or current level of ability, to achieve greatness in all areas of life. Divided into three sections--Body, Mind, and Soul--Get a Kick out of Life serves as a roadmapfor living intentionally, setting attainable goals, keeping your body healthy through appropriate exercise and proper diet, pursuing your purpose in life and delving deeper into relationships with your friends and family. Thompson has now expanded on his research to deliver his upcoming book, Get a Kick Out of Life: Expect the Best of Your Body, Mind and Soul at Any Age, co-written with Christopher P. Neck, (Mastering Self Leadership), along with Alice Sullivan (Kick Start). The new book is due from Clovercroft Publishing on October 10, 2017 ($15.99) and will be distributed to the trade by Ingram Content Group, the world's largest distributor of printed content. To learn more about Thompson and Get a Kick Out of Life, visit 91kick.com or like him on Facebook at facebook.com/91kick. NASHVILLE, Tenn. (August 29, 2017) - Author, professor, motivational speaker and NCAA record breaker, Dr. Emmet C. (Tom) Thompson II, has announced the release date for his eagerly awaited new motivational book, Get a Kick Out of Life: Expect the Best of Your Body, Mind and Soul at Any Age, co-written with Christopher P. Neck, Ph.D., a respected pioneer in the field of self leadership (Mastering Self Leadership: Empowering Yourself for Personal Excellence) and Alice Sullivan (co-author of Thompson's autobiography, KickStart). The book is slated to hit shelves on Tuesday, October 10, 2017, from Clovercroft Publishing, and is being distributed to the trade by Ingram Content Group, the world's largest distributor of printed content. Thompson's new book builds on his background and reputation as an NCAA football record holder, physical fitness expert and academic researcher in the fields of motivation and change. his undergraduate degree in business management. To his surprise, he found that when he applied himself with a determined attitude, he became a successful student. He ended up going to school for eight straight years while earning his advanced degrees. After falling in love with academic research, he began his new career while completing his graduate studies. Thompson is an active researcher with numerous co-authored articles in peer reviewed academic journals. He has co-authored the books Fit To Lead (St. Martin's Press) and Kick Start (Carpenter's Son Publishing). In addition to his writing, Thompson also lectures to both lay and academic groups. A former Board of Advisors member of the American Council on Martial Arts, Thompson is an American-born Tae Kwon Do grandmaster, holding the rank of 9th degree black belt. On November 14, 2009, he became the oldest football player in NCAA history and the oldest NCAA football player to score a point in a game. To learn more about Thompson and the new updated and expanded edition of Kick Start, visit91kick.com. NASHVILLE, Tenn. (May 5, 2017) - Author, professor, motivator and NCAA record breaker, Dr. Emmet C. (Tom) Thompson II, has been tapped as the official brand ambassador for Evil Cowboy Hot Sauce. The classic Texas hot sauce features a unique smoky flavor with just the right amount of heat. "We are excited to bring Tom on as our Brand Ambassador promoting Evil Cowboy Hot Sauce," says Kurt Riddlesperger, cofounder of Texas Triangle Grove, the company that manufactures the Evil Cowboy brand of hot sauce. "He has been a huge encouragement to our family and business, joining us at numerous events." "We've enjoyed talking about setting true fulfilment goals, which is a passion we both share along with our faith," adds Kurt's brother and company co-founder Kyle Riddlesperger. "Tom's experience with nutrition and focus on taking care of your body is a great fit for promoting our healthy and spicy food products." Thompson is equally excited about his new role with Evil Cowboy. "I am thrilled to be named brand ambassador for Evil Cowboy Hot Sauce," he declares. "Getting to know and work with the Riddlesperger family has been a blessing. They are genuine, hard working, faith loving people, and their hot sauce is awesome! It's delicious and it is healthy to boot." "The family is very clear about their faith, putting it right on the label of their Evil Cowboy Smokin' Ghost Sauce. To paraphrase Romans 3:23, 'All cowboys have evil in them.' which is the first step walking down the Roman road to salvation," Thompson explains. "With a name and logo like 'Evil Cowboy,' it definitely opens doors to conversation about God." The new partnership capitalizes on Thompson's background and reputation as an NCAA football record holder, physical fitness expert and academic researcher in the field of motivation and change. Thompson literally wrote the book on motivation for older adults who are approaching their golden years, young people seeking to find their first job, and anyone at any age who wants to take charge of their own destiny. In the new, updated and expanded edition of Thompson's inspirational and motivational autobiography, Kick Start, he encourages readers to seize their future with both hands. "It's never too late, or too early, to kick start your life," Thompson declares. The new edition of Kick Start, which released Tuesday, January 31, 2017, through Clovercroft Publishing, includes tips on goal setting and intentionality, explores the link between goal setting and physical fitness, and offers suggestions for ditching the "bucket list" for something even better. To learn more about Thompson and the new updated and expanded edition of Kick Start, visit 91kick.com. Thompson wrote his name in the record books, then went on to literally write the book on motivation for older adults who are approaching their golden years, as well as anyone seeking a career change, to seize their future with both hands. Thompson details his remarkable accomplishments in the new edition of Kick Start. "Like many people, I grew up feeling as though I couldn't catch a break," muses theauthor, speaker and NCAA football record holder. "With obstacles and setbacks from a very early age, I struggled to find meaning and purpose. As an adult with no real plan, my self-absorbed lifestyle led to divorce, financial stress, and physical injuries. But in time, I found my faith, my purpose, and my soulmate. I discovered it's never too late to kick start your life." At an age when most people are contemplating retirement, Thompson earned the first of numerous academic degrees. Through the process of earning a bachelor's degree, a master's degree and ultimately a doctorate, Thompson realized the power of setting goals and striving to reach them. But he also recognized that not all goals are created equal. "Have you ever achieved a goal, but then didn't experience the long-term sense of fulfillment you were expecting?" asks Thompson. "That happens when you set a goal that is not tied to a core value. When you set a goal that is tied to a core value, you have a greater chance of gaining lasting fulfillment, and it has the added benefit of affecting a whole lot more people than just yourself." Thompson says he updated and expanded Kick Start to encourage older adults who are approaching their golden years, as well as anyone seeking a career change, to seize their future with both hands. "Each day approximately 6,000 Americans turn 65, the traditional age at which people clean out their desk, accept a gold watch from the company and head for the rocking chair," adds Thompson. "But we are witnessing a movement that is changing the face of the nation, and ultimately the world. The boomer generation that is approaching retirement age is more well-educated, healthier, and more motivated than any previous generation in American history. They have a tremendous amount of work experience and life skills that can provide a multitude of opportunities. If my story says anything, it is that it is never too late to re-imagine what you want your life to be." NASHVILLE, Tenn. (February 9, 2017) -Author, professor, motivator and NCAA record breaker, Dr. Emmet C. (Tom) Thompson II, celebrated the release of the new updated and expanded edition of his inspirational and motivational autobiography, Kick Start, by doing what he does best: encouraging people of all ages to grab life with both hands. During the Street Week activities to celebrate the release of the new edition ofKick Start, Thompson delivered a motivational 'kick-off' address to Executive Consultant Leigh Barnes and her Rodan + Fields team in Dallas. He later represented Evil Cowboy Hot Sauce at the annual ZestFest, which was held in Irving, Texas from January 27-29, 2017. Thompson was interviewed by media outlets from across the country during the fiery food experience, which brought together the spiciest exhibitors and products from around the country for a sizzling weekend. Rodan + Fields was founded in 2002 by Dr. Katie Rodan and Dr. Kathy Fields, world-renowned dermatologists and creators of Proactiv® Solution. The premium skincare brand was built on a legacy of innovative dermatology-based skincare products backed by clinically proven results. The company was established on the principle that living better in your skin means living better in your life. Originally developed as a department store brand, today, Rodan + Fields is changing skin and changing lives as a social commerce brand that enables Independent Consultants to pursue their dream of running their own business. We believe everyone has the opportunity to make a difference in their own lives-and in the lives of others. Accordingly, our unique business model offers an unparalleled personal enterprise opportunity for individuals to join a community of like-minded entrepreneurs connected via social networks. For more information, visitrodanandfields.com. A local grocer and butcher in the small town of Honey Grove, Texas developed quite a reputation for his cooking sauce. Its aroma permeated the football and rodeo stands from hot dogs to brisket, slow-cooked in the sauce every night. 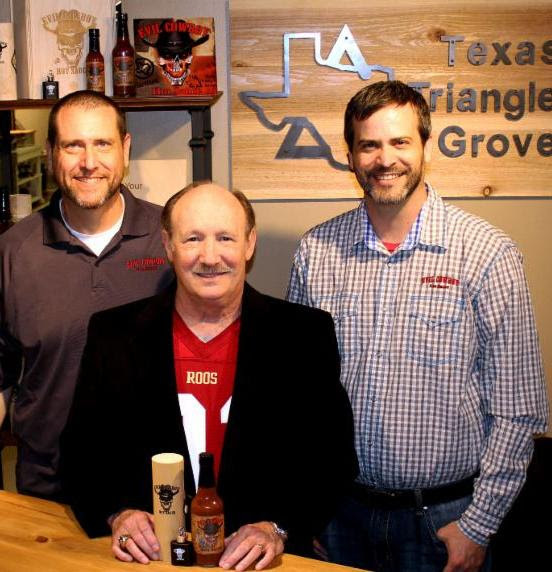 His grandsons name their company Texas Triangle Grove, in honor of his original grocery store, and they continue his legacy of bringing proud, Texas-made products to market, including his famous Evil Cowboy Smokin' Ghost Sauce. For more information, visit evilcowboy.com. breaker, Dr. Emmet C. (Tom) Thompson II, is celebrating the release of the new updated and expanded edition of his inspirational and motivationalautobiography, Kick Start, which releases today, Tuesday, January 31, 2017, through Clovercroft Publishing. The new edition of Kick Start includes tips on goal setting and intentionality, explores the link between goal setting and physical fitness, and offers suggestions for ditching the "bucket list" for something even better. Thompson wrote his name in the record books, then went on to literally write the book on motivation for older adults who are approaching their golden years, as well as anyone seeking a career change, to seize their future with both hands. Thompson details his remarkable accomplishments in the new edition ofKick Start. "Like many people, I grew up feeling as though I couldn't catch a break," muses the author, speaker and NCAA football record holder. "With obstacles and setbacks from a very early age, I struggled to find meaning and purpose. As an adult with no real plan, my self-absorbed lifestyle led to divorce, financial stress, and physical injuries. But in time, I found my faith, my purpose, and my soulmate. I discovered it's never too late to kick start your life." NASHVILLE, Tenn. (January 19, 2017) - On November 14, 2009, Dr. Emmet C. (Tom) Thompson II kicked his way into the record books. At age 61, he became the oldest football player in NCAA history and the oldest NCAA football player to score a point when he kicked the PAT (Point After Touchdown) in the second quarter of the game between Austin College and Trinity University. Thompson wrote his name in the record books, then went on to literally write the book on motivation for older adults who are approaching their golden years, as well as anyone seeking a career change, to seize their future with both hands. The original version of his inspiring autobiography, Kick Start, which released in 2012, details his remarkable accomplishments. Now Thompson is prepping the release of a new, updated and expanded edition of Kick Start, which is slated for release on January 31, 2017 through Clovercroft Publishing. The new updated and expanded edition of Kick Start includes tips on goal setting and intentionality, explores the link between goal setting and physical fitness, and offers suggestions for ditching the "bucket list" for something even better. Thompson says he updated and expanded his inspirational and motivational autobiography, Kick Start, to encourage older adults who are approaching their golden years, as well as anyone seeking a career change, to seize their future with both hands. To learn more about Thompson and Kick Start, visit 91kick.com. NASHVILLE, Tenn. (January 12, 2017) - On November 14, 2009, Dr. Emmet C. (Tom) Thompson II kicked his way into the record books. At age 61, he became the oldest football player in NCAA history and the oldest NCAA football player to score a point when he kicked the PAT (Point After Touchdown) in the second quarter of the game between Austin College and Trinity University. Thompson's hometown of Coppell, Texas, is honoring that record-breaking feat today during its annual Tom Thompson Appreciation Day. During the event, Thompson made a personal appearance in town, meeting with Mayor Karen Hunt, and discussing the updated and expanded edition of his inspiring autobiography, Kick Start, which details his remarkable accomplishments. The new updated and expanded edition of Kick Start includes tips on goal setting and intentionality, explores the link between goal setting and physical fitness, and offers suggestions for ditching the "bucket list" for something even better. The new edition is slated to release January 31, 2017 through Clovercroft Publishing. Thompson wrote his inspirational and motivational autobiography, Kick Start, to encourage older adults who are approaching their golden years, as well as anyone seeking a career change, to seize their future with both hands. Kick Start (Carpenter's Son Publishing). In addition to his writing, Dr. Thompson also lectures to both lay and academic groups. A former Board of Advisors member of the American Council on Martial Arts, Dr. Thompson is an American-born Tae Kwon Do grandmaster, holding the rank of 9th degree black belt. To learn more about Dr. Thompson and Kick Start, visit 91kick.com. NASHVILLE, Tenn. (December 6, 2016) - On November 14, 2009, Dr. Emmet C. (Tom) Thompson II kicked his way into the record books. 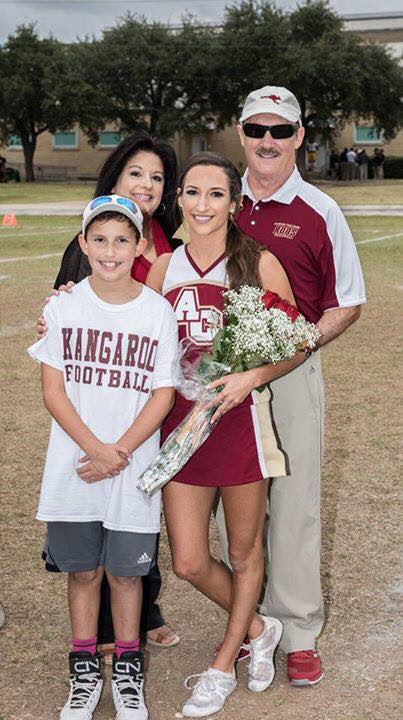 At age 61, he became the oldest football player in NCAA history and the oldest NCAA football player to score a point when he kicked the PAT (Point After Touchdown) in the second quarter of the game between Austin College and Trinity University. Dr. Thompson details his remarkable accomplishment in his inspiring autobiography, Kick Start. Thompson is now putting the finishing touches on the expanded second edition of the book, which is slated to release January 17, 2017 through Clovercroft Publishing. The new expanded 2nd edition of Kick Start includes tips on goal setting and intentionality, explores the link between goal setting and physical fitness, and offers suggestions for ditching the "bucket list" for something even better. At an age when most people are contemplating retirement, Dr. Thompson earned the first of numerous academic degrees. Through the process of earning a bachelor's degree, a master's degree and ultimately a doctorate, Thompson realized the power of setting goals and striving to reach them. But he also recognized that not all goals are created equal. "Have you ever achieved a goal, but then didn't experience the long-term sense of fulfillment you were expecting?" asks Dr. Thompson. "That happens when you set a goal that is not tied to a core value. When you set a goal that is tied to a core value, you have a greater chance of gaining lasting fulfillment, and it has the added benefit of affecting a whole lot more people than just yourself." Dr. Thompson wrote his inspirational and motivational autobiography, Kick Start, to encourage older adults who are approaching their golden years, as well as anyone seeking a career change, to seize their future with both hands. "Each day approximately 6,000 Americans turn 65, the traditional age at which people clean out their desk, accept a gold watch from the company and head for the rocking chair," adds Dr. Thompson. "But we are witnessing a movement that is changing the face of the nation, and ultimately the world. The boomer generation that is approaching retirement age is more well-educated, healthier, and more motivated than any previous generation in American history. They have a tremendous amount of work experience and life skills that can provide a multitude of opportunities. If my story says anything, it is that it is never too late to re-imagine what you want your life to be." NASHVILLE, Tenn. (November 14, 2016) - NCAA football record holder, author and speaker Dr. Emmet C. (Tom) Thompson II kicked his way into the record books when, at age 61, he became the oldest football player in NCAA history and the oldest NCAA football player to score a point when he kicked the PAT (Point After Touchdown) in the second quarter of the game between Austin College and Trinity University on November 14, 2009. "It's hard to believe it's been seven years since I made my historic kick," Thompson muses. "Since that day, I have been so fortunate to have met such wonderful people while sharing my story." Thompson details his remarkable accomplishment in his inspirational and motivational autobiography, Kick Start. He is currently working on an expanded second edition of Kick Start, which is slated for a January 2017 release through Clovercroft Publishing. "Each day approximately 6,000 Americans turn 65, the traditional age at which people clean out their desk, accept a gold watch from the company and head for the rocking chair," Thompson says. "But we are witnessing a movement that is changing the face of the nation, and ultimately the world. The boomer generation that is approaching retirement age is more well-educated, healthier, and more motivated than any previous generation in American history. They have a tremendous amount of work experience and life skills that can provide a multitude of opportunities. If my story says anything, it is that it is never too late to re-imagine what you want your life to be." "Have you ever achieved a goal, but then didn't experience that long-term sense of fulfillment you were expecting?" Thompson asks. "That happens when you set a goal that is not tied to a core value. When you set a goal that is tied to a core value, you have a greater chance of gaining lasting fulfillment, and it has the added benefit of affecting a whole lot more people than just yourself." To learn more about Tom Thompson, Kick Start, or to watch a video of his historic kick, visit 91kick.com. NASHVILLE, Tenn. (November 11, 2016) - Author, speaker and NCAA football record holder Dr. Emmet C. (Tom) Thompson II kicked his way into the record books when, at age 61, he became the oldest football player in NCAA history and the oldest NCAA football player to score a point when he kicked the PAT (Point After Touchdown) in the second quarter of the game between Austin College and Trinity University on November 14, 2009. Thompson, who is a football coach at Austin College,recently took time out from his coaching duties to celebrate the school's Homecoming weekend, to share stories with the school's alumni, and to sign copies of his inspirational, autobiographical and motivational book, Kick Start. Thompson details his remarkable accomplishment in the expanded second edition of Kick Start, which is slated for a January 2017 release through Clovercroft Publishing. "I always enjoy having the opportunity to spend time visiting with the Austin College alums that attend the book signing during homecoming weekend," says Thompson. NASHVILLE, Tenn. (October 27, 2016) - Author, speaker and NCAA football record holder Dr. Emmet C. (Tom) Thompson II recently appeared as a guest on the Cornerstone Television Network's flagship program, Real Life, where he discussed his inspirational and motivational book, Kick Start. Fans can access the archived show through the network's website at reallife.ctvn.org. "It was a pleasure meeting everyone at Cornerstone," says Thompson. "The staff was most helpful and they were so quick to make sure I was taken care of. I look forward to another visit." On November 14, 2009, Dr. Emmet C. (Tom) Thompson II kicked his way into the record books. At age 61, he became the oldest football player in NCAA history and the oldest NCAA football player to score a point when he kicked the PAT (Point After Touchdown) in the second quarter of the game between Austin College and Trinity University. Thompson details his remarkable accomplishment in his inspiring autobiography, Kick Start. The revised second edition of Kick Start is slated for a January 2017 release through Clovercroft Publishing. Real Life enters season 4 with a jam packed hour of inspiration with engaging interviews, exciting lifestyle segments, music, and Good News. Additionally, fascinating segments focus on Ancient Jewish Wisdom, Miracles in American History, Stories of Unshakable Faith & Hard Questions. Multiple hosts lead the viewer on a dash to explore their faith and prayer that will change their lives. Cornerstone is dedicated to taking the Gospel of Jesus to as many people as quickly as possible through anointed broadcast programs and life-changing humanitarian efforts. Cornerstone Television Network is a viewer-supported ministry that reaches 5.8 million homes in the U.S. and and throughout the Western Hemisphere. Airing 24 hours a day, seven days a week, Cornerstone Television Network programs are broadcast to more than 100 affiliate stations nationwide through SkyAngel and Glorystar, as well as online at ctvn.org. Additionally, Cornerstone is seen on Roku, Apple and Android Apps.